You need a fitness program made just for you! In today’s world, we have busier schedules than ever before. Our lives are packed with important tasks that need to get done, which doesn’t allow much time to focus on our health & exercise. The right online training program will allow you to plan daily fitness routines around your own schedule. Your average personal trainer will run you anywhere from $50-100 for a 1-hour training session. Crazy, right? That cost does not even factor in the gas expense to get you there and back. Online personal training programs give you the freedom to perform your exercise routines 24 hours a day, from anywhere in the world. No more waiting around for a gym trainer with a “weekend certification.” You can exercise at home instead of getting a babysitter for the kids or while your at the hotel gym on a work business trip. Studies have shown that individuals who are “comfortable in their setting” while improving their overall health are much more likely to see positive results. Gym settings can be intimidating, frustrating, and no fun at times. With an online personal trainer, you can decide where you would like to workout and discuss this with them. With a gym personal trainer, you can only workout when the gym is open or when a particular trainer has open availability. With an online personal trainer, you have 24/7 access and detailed how-to instructional videos on exercises in your program. 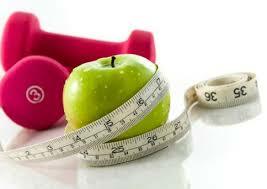 With an online personal trainer, you have someone their to check up on you and adjust your program. They are their to motivate you throughout the process. Cookie cutter fitness programs DO NOT WORK. One size does not fit all. What WORKS then? A fitness program that is created specifically for you. Prolific Fitness provides each client with a Personal Trainer online at an affordable cost. We create a personalized plan for every client to reach their unique goals.